Trinseo (NYSE: TSE), a global materials solutions provider and manufacturer of plastics, latex binders and synthetic rubber, today announced it is increasing its focus on sustainability and transparency with the adoption of the Global Reporting Initiative (GRI) framework for public sustainability reporting. The Global Reporting Initiative is the leading independent organization that provides a common language and framework for public sustainability reporting, allowing more global comparability and better quality of information about company sustainability impacts. GRI provides expertise to assist companies in expanding their disclosure and reporting activities around this common framework. Trinseo will begin using the GRI Standards in its 2017 Sustainability report, which will be published in the third quarter of 2018. The company is planning to provide a full GRI-aligned Sustainability Report in 2019. Trinseo, formerly Styron, published its first Sustainability/CSR report in 2011, with public disclosure of emissions, energy use, water use, and waste and safety performance. 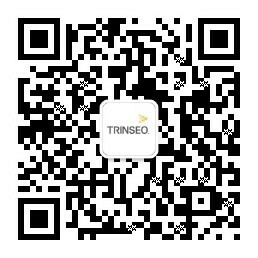 The company has continued to issue a public report annually on its website at www.trinseo.com/sustainability. Now with the adoption of the GRI framework in 2018, the company’s Sustainability/CSR reports will contain even more information than in the past. Trinseo became a Responsible Care® company at its formation in 2010, joined the Carbon Disclosure Program (CDP) in 2012, the Green Freight Europe Programme in 2013, and Operation Clean Sweep in 2014. Trinseo’s products enable its customers to create more sustainable solutions by reducing energy use, preserving health, enhancing safety, improving durability, and conserving natural resources. The company’s vision is to be a world leader in delivering innovative materials, technologies, and solutions that enable a more sustainable world.